FREE WEBINAR! 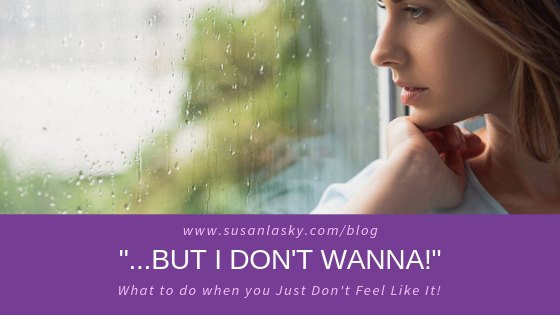 I recently gave a webinar for ADDitude Magazine: “How to Get More Done… With a Lot Less Stress.” If you weren’t on the call, you can listen to a replay by clicking here – it’s free until July 4, 2018! (I was blown away that almost 9,000 people signed up!) I’d love to hear your feedback. The following challenges were brought up during a recent TUIT Project Group Webinar. 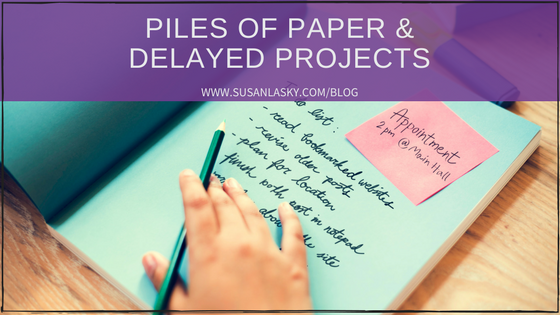 I think the topics (dealing with piles of paper and getting to delayed projects) are concerns for many people, so I’d like to share the strategies we discussed. How do I deal with avoidance, when it comes to tacking my piles of paper? Work on one pile at a time. Start with the more recent ones, as you’re more likely to find some time-sensitive discoveries. Don’t tackle a big pile – just the thought of it is overwhelming, which automatically creates an avoidance response. So, take a handful of papers at a time, and bring them somewhere else if you need to separate yourself so you don’t have to look at the intimidating ‘master pile’ (or piles). The goal isn’t to shuffle the piles (which is what often happens), but to create workable units of related items that can be reviewed more efficiently than if the categories were intermingled. Remember, your goal is to process the papers, not just organize them! However, organization is the first step. Start by separating the papers, by category, into smaller piles as you go through them. 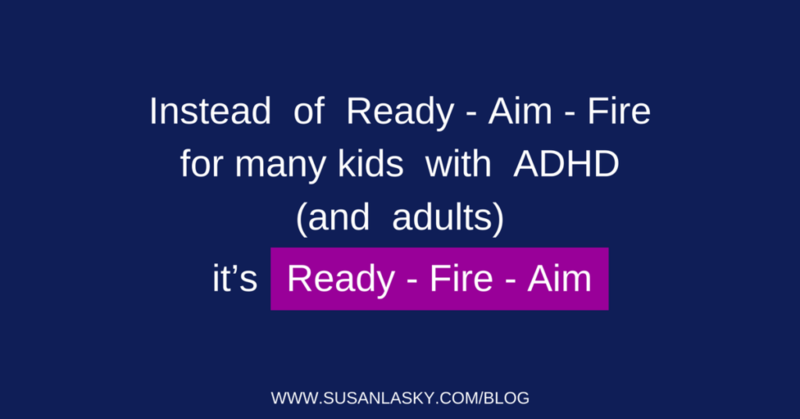 It is a waste of time and energy to transition your thinking from issues concerning the house… to kids… to work… to finances, etc. The same applies to sorting piles of paper at work. The popular OHIO method (only handle it once) doesn’t make sense if it means having to constantly shift focus to deal with different categories and different priorities. Stack all papers relating to a category in one pile or folder (put a blank paper at the top with the category name, so you’ll remember). Then, either go through and process all of the papers in a specific category (do now, do later, do whenever, delegate, discard or file), or continue adding to your sorted categories by taking additional handfuls from the master pile. Don’t think you’ll just get around to this. 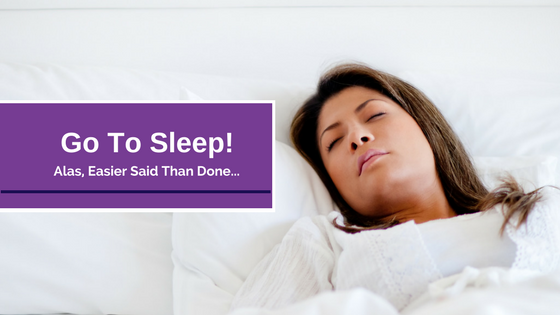 Knowing you have or want to do something has little to do with getting it done. (Especially for ADDers, who are less motivated by reward, consequence or even importance.) Create a Task-Appointment (time on your calendar to do a specific task) for sorting the master pile, sorting the category piles, acting on the category sorts or filing (if you don’t set a time for filing, it’s unlikely to happen, which will just add to the future piles). You can do this for just 15 minutes a day. You won’t get it all done, but the piles will decrease. A good idea is to make it part of an existing routine. Eat lunch, then sort/process for 15 minutes while the food digests. If there are important items in the master pile, then you might want to focus on pulling those out so they ‘go to the top of the list.’ Systems are designed to help us achieve goals, but don’t overlook what is urgent while working on whatever is more interesting. What is a good approach for getting to a long-desired but delayed project? Realize that even when you aren’t in action on a project, if it’s something you’ve been thinking about, you have made some progress. The problem is that, without putting your thoughts down in writing – in one designated and labeled place/folder, you are ‘reinventing’ the wheel every time you think about it, instead of moving forward. So get your thoughts in writing to solidify and remember them. Consider that you aren’t starting fresh; you have the benefit of the thinking you’ve been doing. The difference is that when you get it out of your head and onto paper (or computer file), it clears your head and frees you up for action. Look at the benefits of proceeding (or not). In this case, Jane has to look at her ‘mistake’ every day, so it is a constant reminder of her poor, and costly, choice. That’s a negative impact statement and reason enough to make a change, if it is financially feasible. Note: This is only important because it was affecting the person who was looking at her perceived ‘mistake’ for 10 years – someone else might not even have noticed, so it would be a non-issue. 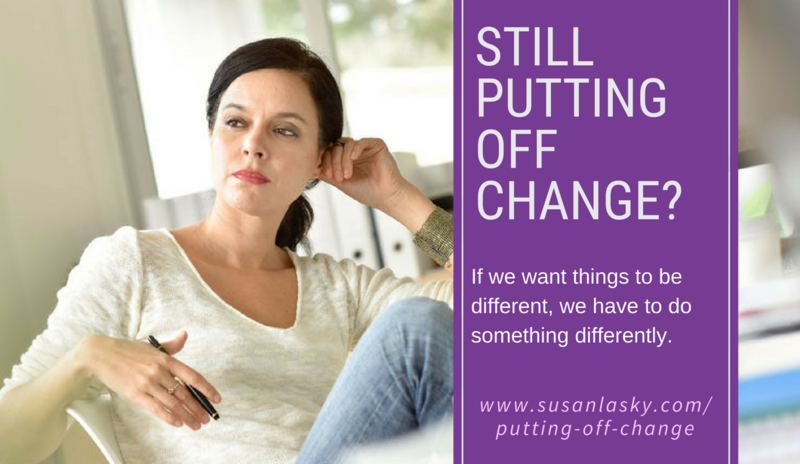 Get specific about those issues that have complicated making a change. Jane wasn’t sure as to which style, materials or colors to use for the replacement window treatments, whether they needed to be custom made, and if so, by whom. There are more resources available now than 10 years ago when she made her original purchase, and it’s easier to explore options on the web (even showing possible window treatments as they would look in the actual room). To help narrow down the choices when making a complicated decision, use basic Decision-Making strategies, like a Decision Matrix, where you create a grid. Across the top, list the factors that affect your decision-making (these are your criteria), which in this case would include things like cost, appearance, quality, availability, maintenance, etc. Down the left side list the options. Then weigh each box by assigning a number. I like to use -3 to +3, with 0 being neutral. So one option, silk drapes, would get a +3 for looks, but a -3 for affordability/cost. Another option, wood blinds, would get a +1 for looks, but a -1 for maintenance. You get the idea. Some factors, like cost, might carry more weight than others. Maybe not. When you total the numbers, it helps determine your best choice, given your criteria and options. 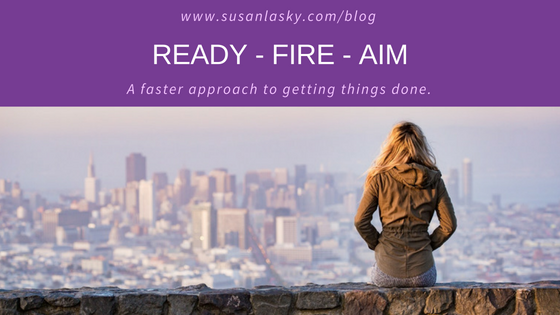 By getting your thoughts out of your head, and creating a plan of action with specifics, you can get that long-desired, but not urgent, project accomplished without too much intrusion (time and energy) into your already busy life.